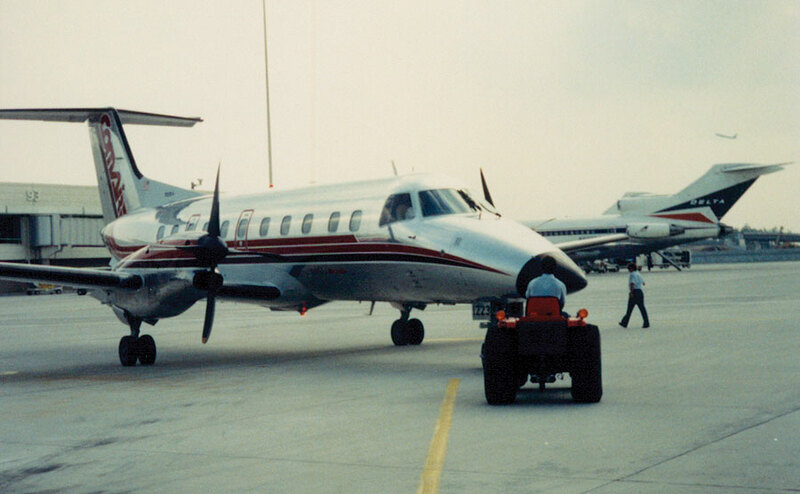 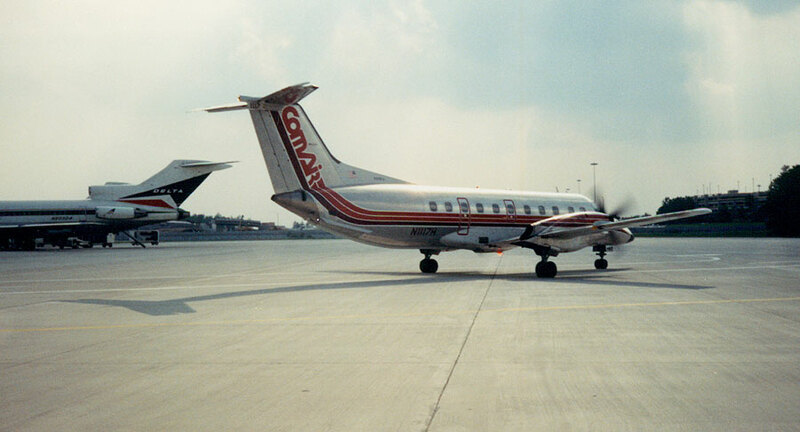 Comair was founded in April 1977, operating a trio of Piper Navajos between Cincinnati, Detroit, Cleveland and Akron. 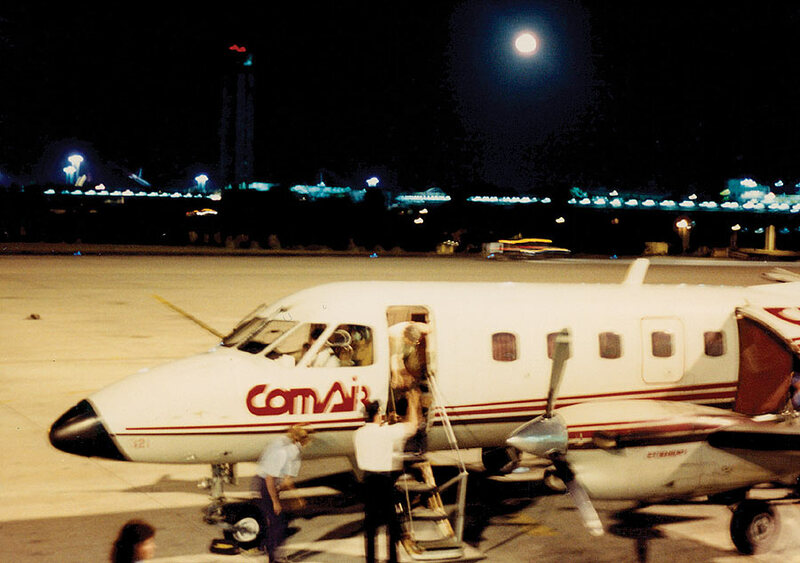 The airline became a Delta Connection carrier in 1984, feeding passengers into Delta's Cincinnati hub. 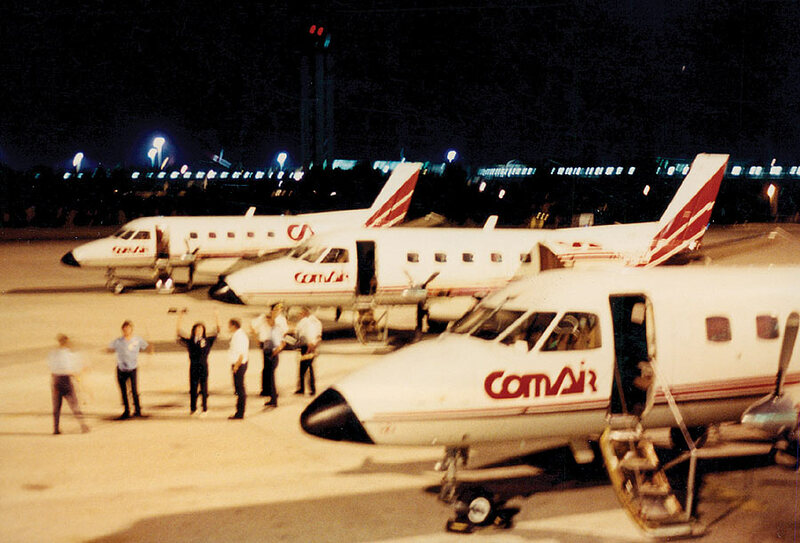 Comair entered the Florida commuter market on November 1, 1987 when it opened a hub at Orlando, flying Embraer Bandeirantes under the Delta Connection banner. 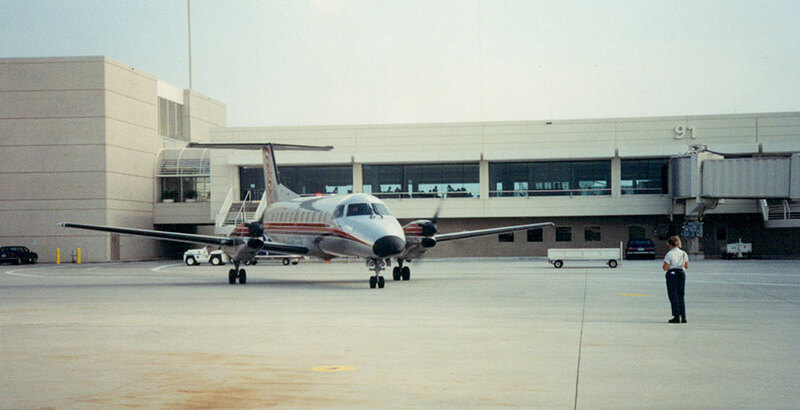 The addition of faster and pressurized 30-passenger Embraer Brasilias allowed the airline to add nonstop flights from Orlando and Tampa into neighboring states during the late 80s and early 1990s. 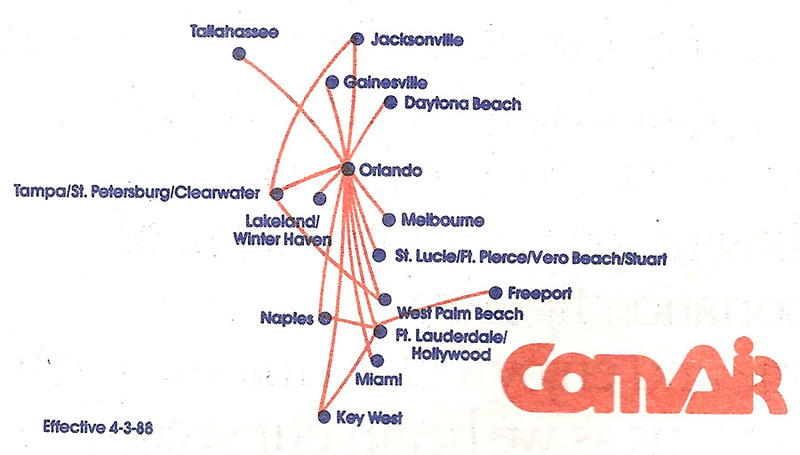 Below: Comair route map dated April 3, 1988 showing Florida routes operated as a Delta Connection carrier. 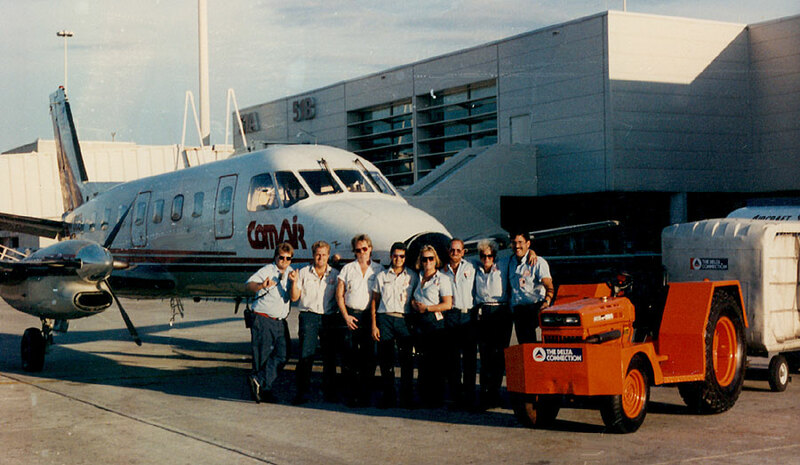 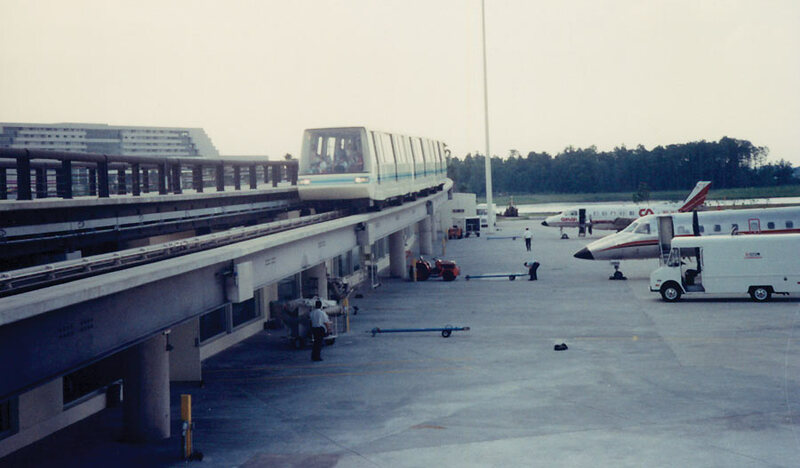 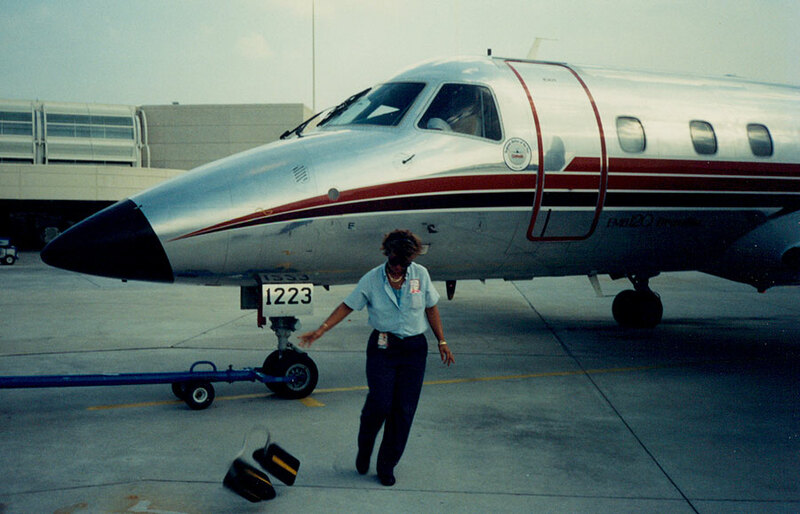 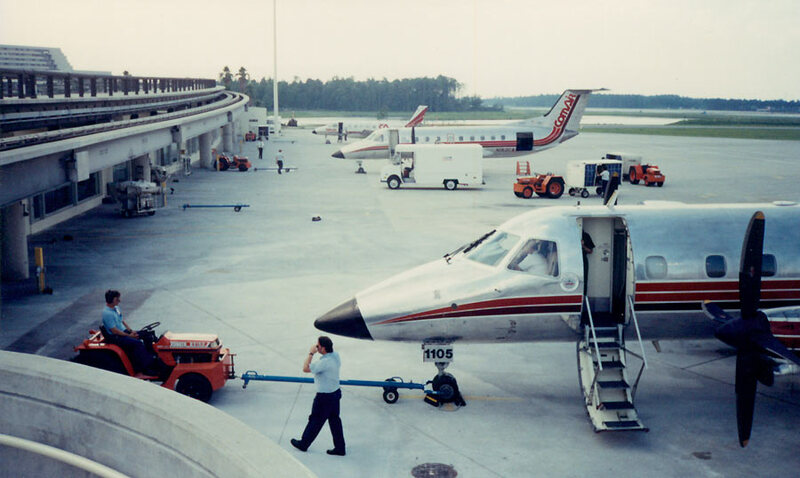 Andy Rodriguez, who worked the ramp for Comair at MCO in the late 1980s, sent in the next 10 photos. 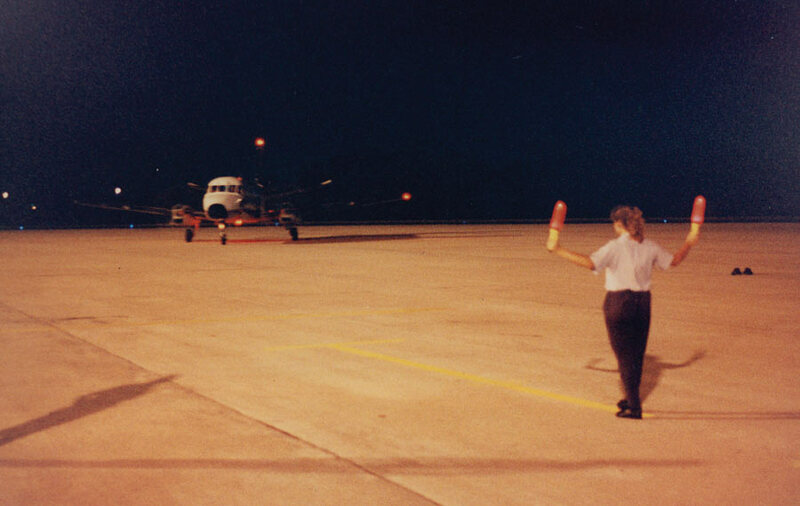 Thank you Andy! 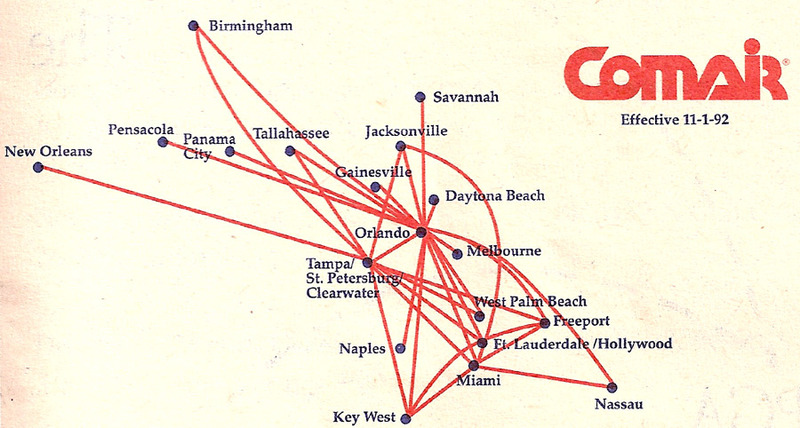 By 1992, Comair's Delta Connection system in Florida had expanded north to Savannah, Georgia and Birmingham, Alabama, and west to New Orleans.